If you’re celebrating an October birthday, flowers are a given. When fresh blooms are expertly arranged, they’re a thoughtful gift that can create a lasting memory. 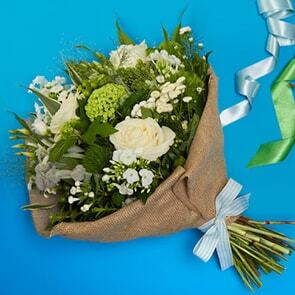 It’s easy to select a beautiful bouquet for the birthday girl or boy from the Bloom Magic catalogue, but you can also choose to include flowers that represent the birth month or top it off with gifts that have been specifically chosen for the month, such as the proper birthstone or colours. Use our October birthday guide as inspiration, so you can select the perfect gifts for the special person on your list. Birthday Flowers make a great gift and Marigolds are a timeless favourite and have been chosen to represent the month of October. Their rounded heads are packed with petals, usually in vibrant colours of the sun. These oranges, reds, and yellows create a full and cheery display and may also represent devotion or elegance. Cosmos are alternate birthday flowers for October. Their name comes from the Greek root for “harmony,” as their broad petals are perfectly aligned around their faces. With shades similar to marigolds, these blossoms can help make any bouquet bright. Tourmaline is unique in that it can take up almost any colour, depending on what minerals became embedded in it during its formation. Lore of the stone says that it can also be used to ward off evil forces or negative thoughts. Red tourmaline tends to be one of the most sought-after colours and is often referred to as rubellite. Opal presents itself with a kaleidoscope of colours, exhibiting the same rainbow effect as the inside of an oyster shell might, though the rainbow may be encased in nearly any colour. Due to its high water content, it’s fragile and sensitive to the elements, but is beautiful none the less. Some say the stone can bring good luck to anyone who wears it. Deep orange is the colour assigned to those born October 1-21. It represents strength in all forms, from willpower through physical energy, as well as things traditionally associated with it, such as victory, dedication, and vitality. Red is the colour for those born near the end of October, starting from the 22nd on. Naturally, this is the colour of passion, courage, romance, and energy. It also symbolizes the fall harvest. Our lavish Autumn Leaves bouquet encompasses many of the essentials of October birthdays, with its rich oranges and reds, and is a great choice for anyone who is celebrating a birthday this month. A classic bouquet of romantic red roses is also ideal for the special someone in your life. 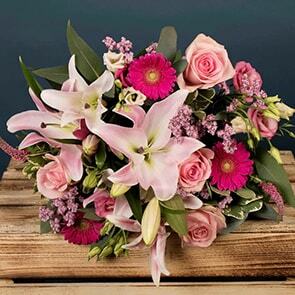 We have a wide selection of other types of birthday flowers to browse as well, all fresh-cut and pieced together into stunning hand-tied bouquets, so you can easily select just the right bouquet, no matter what your recipient’s tastes may be.